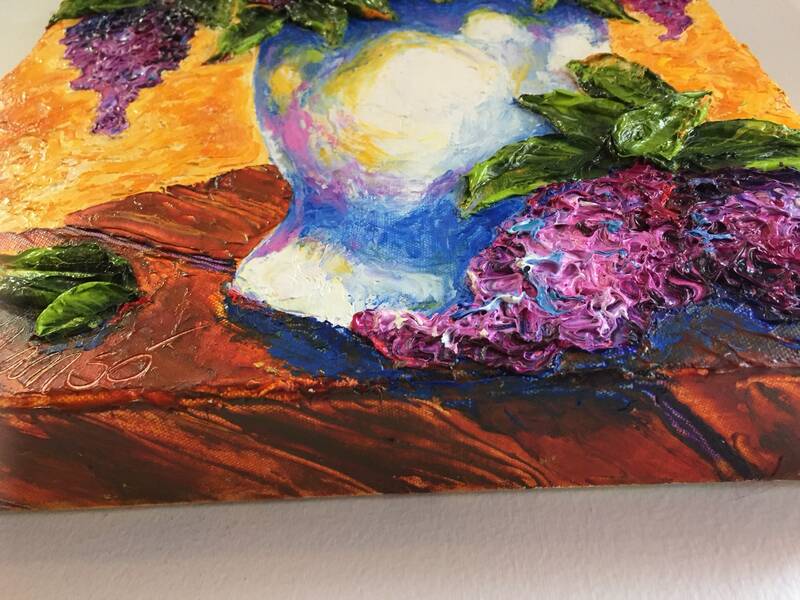 Your walls will thank you! 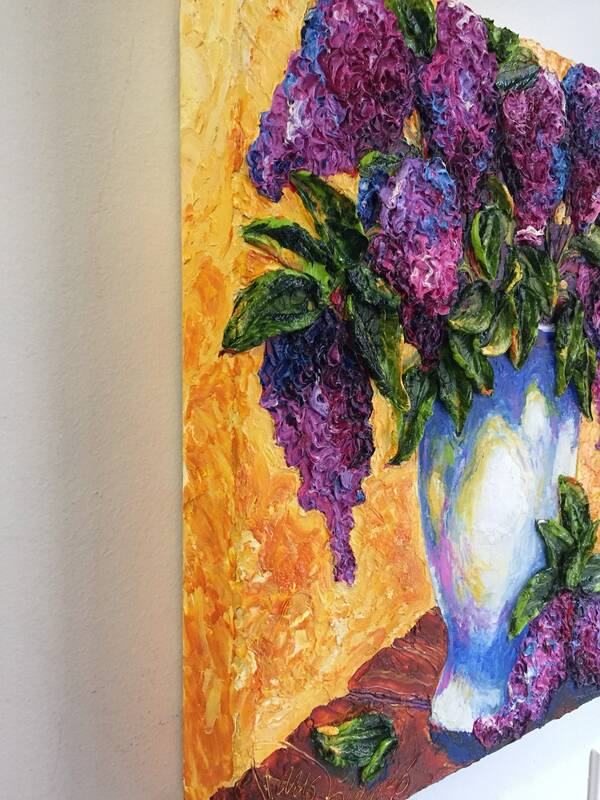 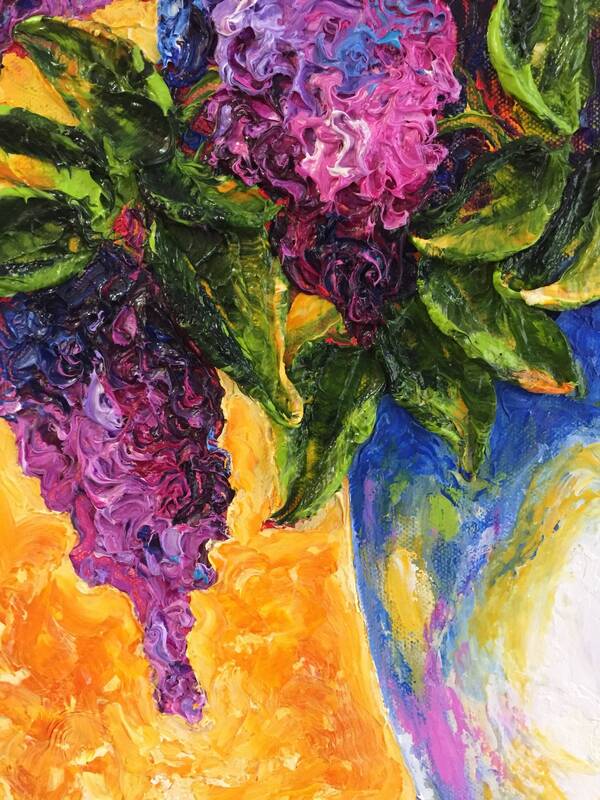 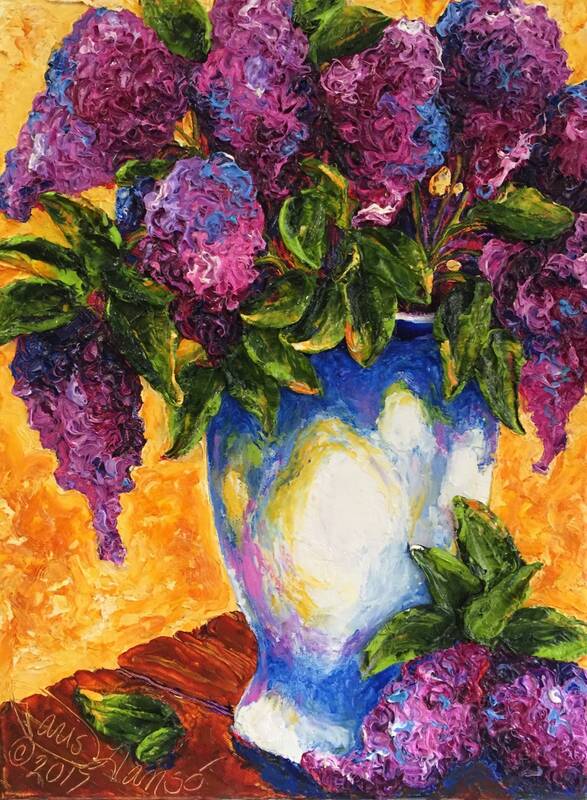 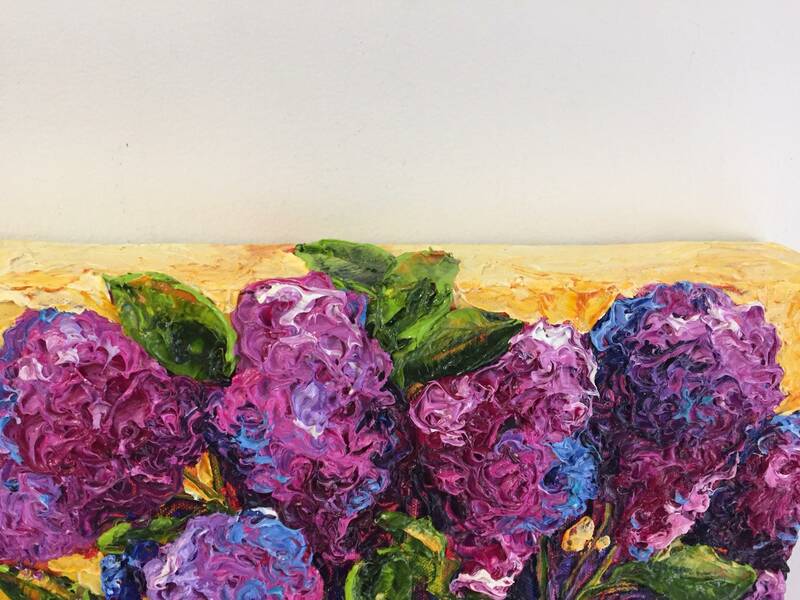 'Lilac and White Vase is a original oil painting by Paris Wyatt Llanso. 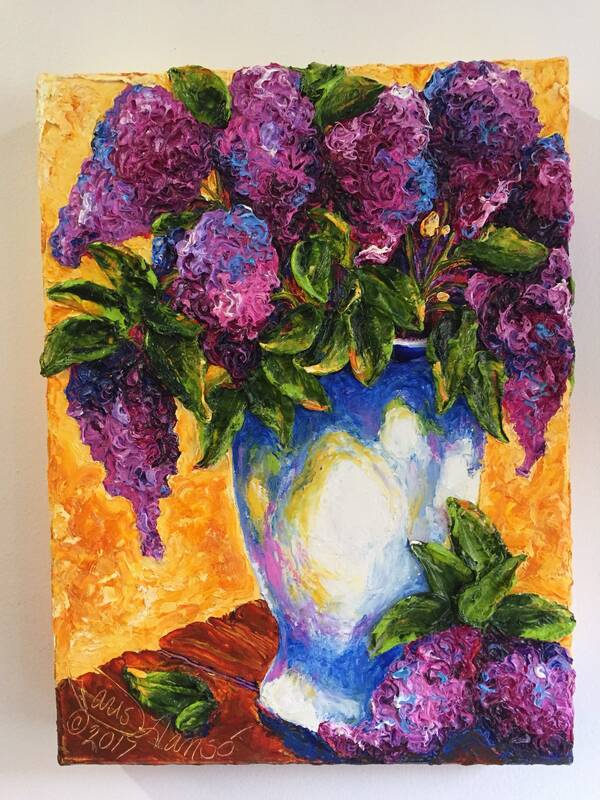 This piece measures 11 by 14 inches and is 1 1/2 inches deep. 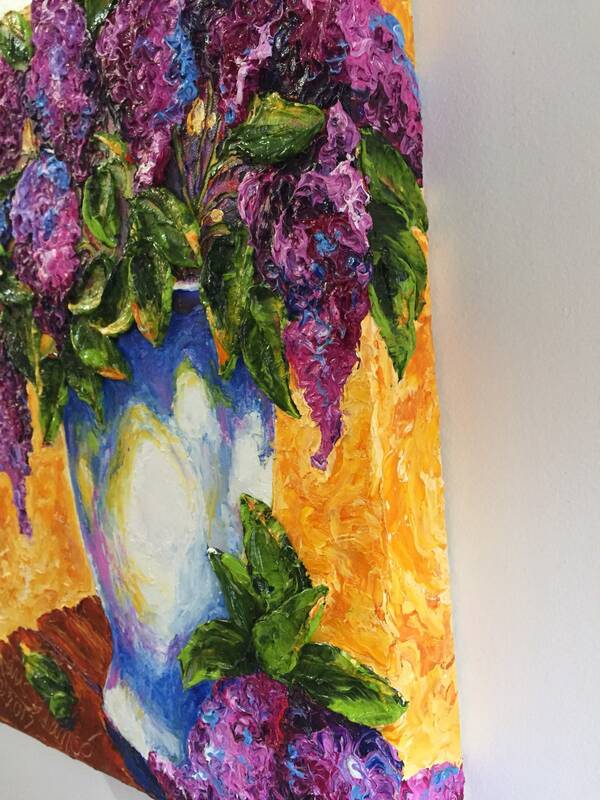 'Lilac and White Vase’ has thick applications of premium oil paints and high relief. 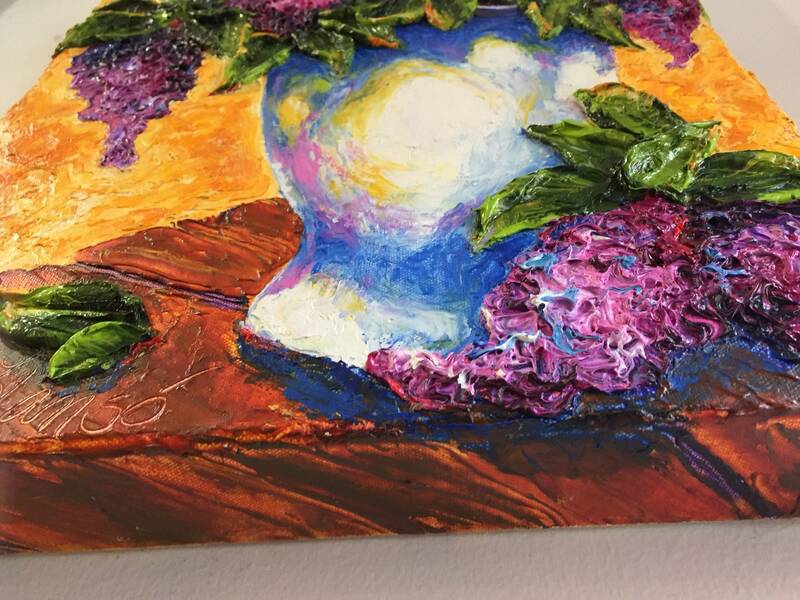 The Image is wrapped around edges, eliminating the need for a frame. 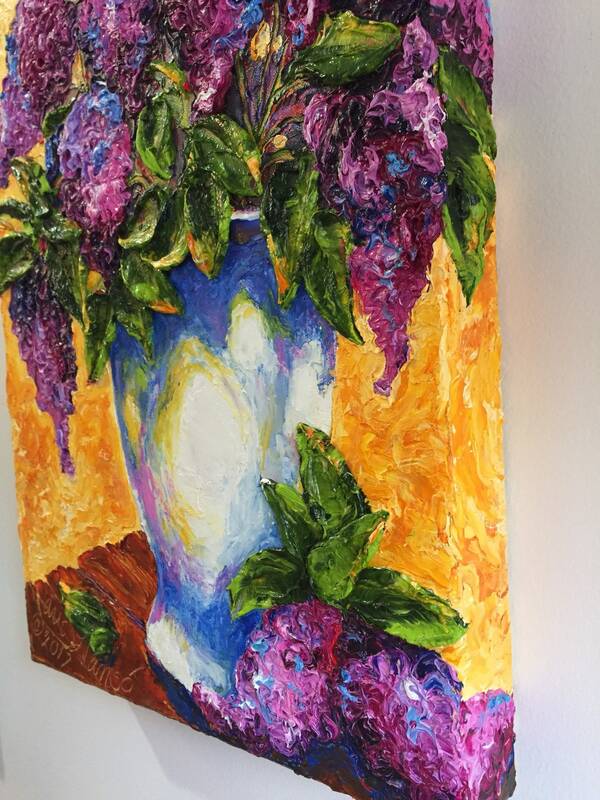 It may still be framed at your discretion.